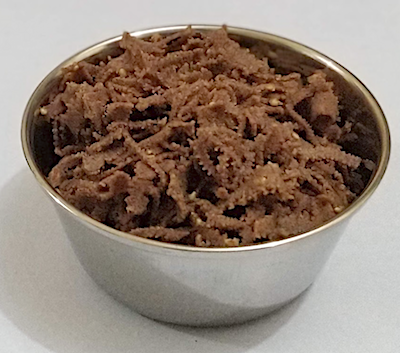 Ragi Ribbon Pakoda gives you different taste from the regular pakoda.This snack can make instantly. The Garlic paste give us nice flavour.Instead of sesame seed you can add Omam(Ajwain) or Cumin seed. Grind the Garlic and make smooth paste (Grind without lumps or else it get struck). Keep it aside. Mix Ragi flour, Rice flour, Besan, Chilli powder, Sesame seeds and Salt in vessel. Add Butter and garlic paste. Then add water little by little and Make dough. Take ribbon pakoda disc and insert it. Fill it with dough. Heat Oil in pan. Check by adding a pinch of dough if it rises immediately then oil is ready. Press the dough in the hot oil. Flip over and cook. When bubbles reduced then take out the pakoda.